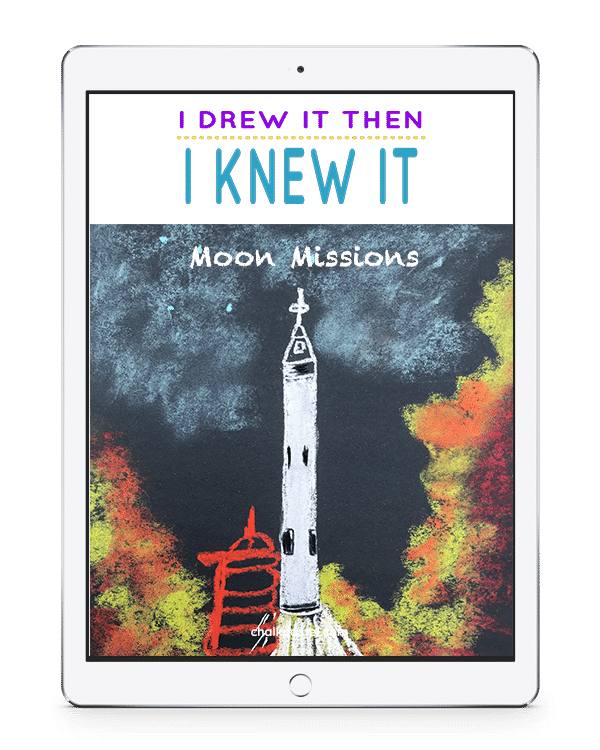 Moon Missions Video Art Lessons - You ARE an ARTiST! Moon Missions Video Art Lessons! It’s almost lift off! Are you celebrating the big space anniversary? With these art lessons, artists visit mission control, head to the moon, plant a flag, leave some footprints and take an amazing journey. Chalk pastels are a wildly successful medium – especially space art! All it takes is a starter set of chalk pastels, construction paper and Nana’s video art lessons to capture the excitement of moon missions! No expensive, intimidating list of art supplies. Moon Missions is a wonderful stand alone art curriculum or a perfect complement to your learning! What is included in Moon Missions Video Art Lessons? How to view Moon Missions Video Art Lessons? 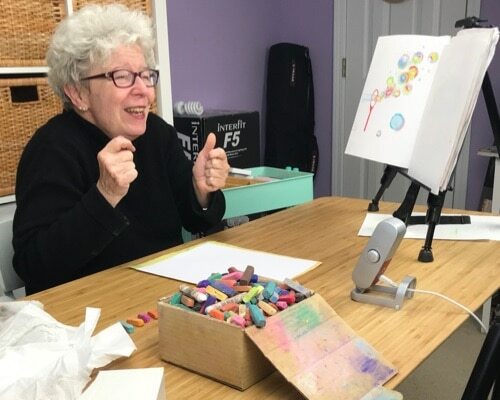 With our I Drew It Then I Knew It art lessons, it is all about triggering facts and reinforcing the learning that is already happening in your home. Start your journey to the moon– with art – today!